Find out more program details with the faculty leader, Peter Laufer! The interview is intimate, immediate, and can be an entrée to the soul. It’s a critical tool for journalists and is integral to most story development. These courses are designed to improve and professionalize students’ journalistic skills, from the art of posing questions to the critical task of listening actively and creatively to answers. The program will be based at the GEO Center in Oviedo, Spain. 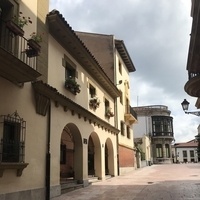 The city has an urban design which promotes equity and inclusion in historic sites, public squares, car-free livable streets and a culture public gathering places, sidewalk cafes, markets and bars.